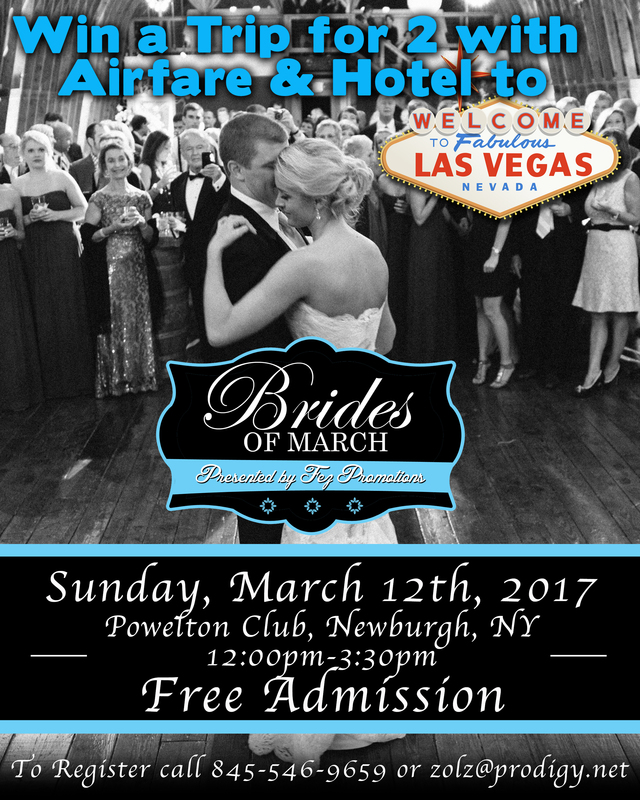 Come and meet with some of the Hudson Valley’s best wedding vendors — florists, DJs, photographer, and more! Plus you’ll play “Wordz With Bridez” for the chance to win one of 3 cruises, 2 land trips, or the Grand Prize: a trip for 2 with airfare and hotel to Las Vegas! Admission is free, so bring the whole gang. To pre-register, call 845-546-9659 or email zolz@prodigy.net!